In the early 1960s, as clay brick was extensively used in home construction, Grant Harris remained inspired by the majestic beauty of stone homes throughout many Western frontier towns. Borrowing from the ingenuity of these early pioneers, Mr. Harris founded a new company with single-minded purpose: manufacture affordable, attractive precast stones–bringing together the durability of natural and the economy of manufactured. Soon his precast stones were an integral part of home designs utilizing a mix of brick, wood, stucco and now, Harristone, the building blocks of the American West. 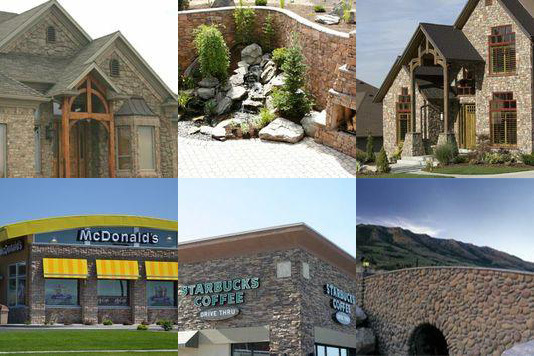 More than 50 years later, Harristone remains a pioneer in the precast stone industry, offering designs that add an earthy sophistication to homes, cabins and commercial buildings alike. Natural stone is durable, rugged and impervious to nature’s elements. It is also expensive and heavy. Harristone products deliver the authentic look and durability of natural stone without the expense or the weight. Harristone is manufactured using expanded shale structural lightweight aggregates from Utelite Corp. Harristone…is the choice for masons, home builders and design experts throughout the Western U.S. and Canada.